Shoes Shoes Shoes... if you're here, you love shoes, or love someone who loves shoes. So, this is the notebook for you. 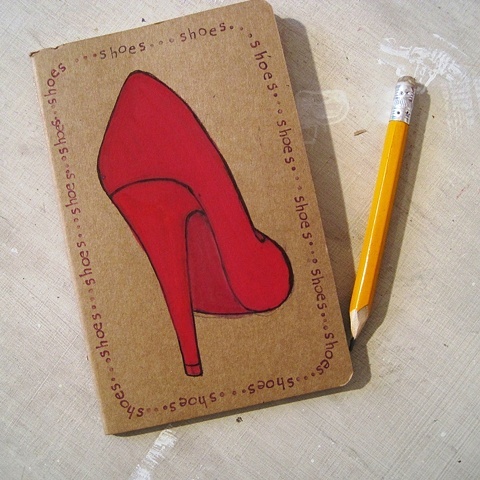 A curvy red stiletto, hand illustrated by moi. If you'd like it to be personalised, you got it!